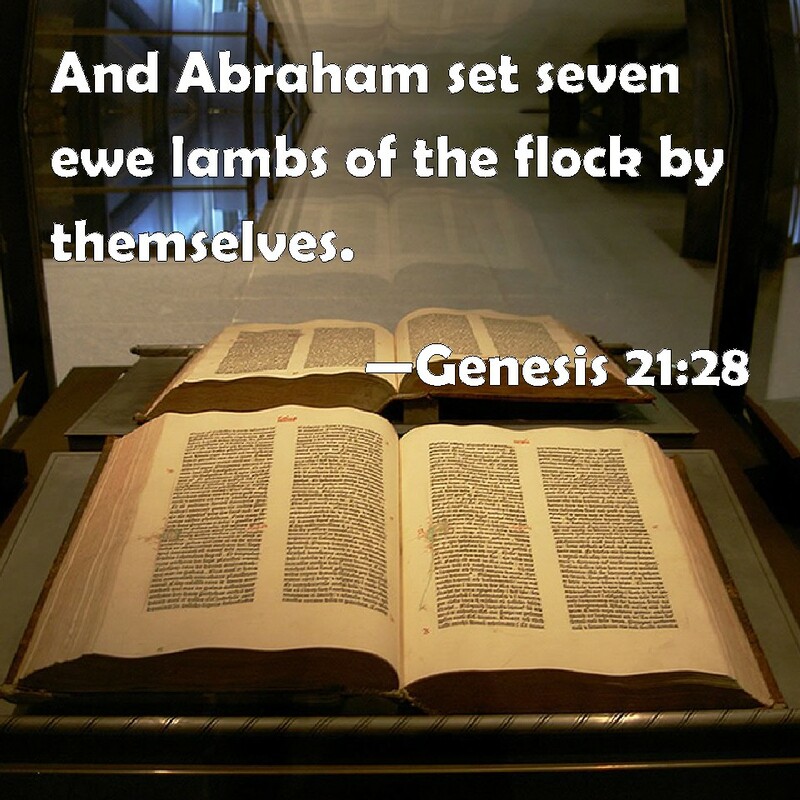 Is it me, or is Something Else Going on With Abraham and Abimelech? After a prolonged dry spell of study time due to some relief efforts for the survivors of the devastating Camp Fire in Paradise, CA, I was aching to get back to my studies in the Word. I felt guilty, neglectful, and undeserving of any kind of insight or revelation. 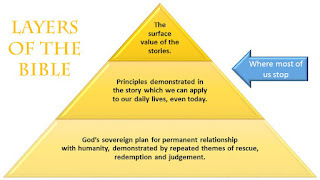 After hearing something Pastor Sandy Armstrong for Soldiers for Christ had preached on a while back, I was nagged by the feeling that I needed to study Genesis 24. I started to read it late at night. As usual, I skipped backward a little bit for context. It's sort of like priming the pump. Gen 24 is where the search for a wife for Isaac begins. I went back to Gen 23, where Sarah died. Then Gen 22, when Isaac was about to become a sacrifice. Then Gen 21. Immediately I was hit with what's become a familiar sense of reading one thing, but seeing quite another in my mind. All of the studies I've written about for the last year have germinated in exactly the same way: Read, stumble across something, and then the entire passage sprouts into a complex picture that I do my best to explain. Here's my attempt to explain the interesting passage in Genesis that caught my attention, this time. 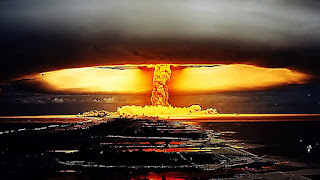 I provide the scripture, then show what I think the prophetic connections are inline. Is your pump primed? The name Abimelech means "Father is King", or "The King is my Father." Remember that Abimelech stole Abraham's lovely bride, Sarah, because her marriage status was concealed from the king. When he found out, he had to give Sarah back to Abraham. Keep in mind that these guys were at odds over a 99 year old woman. 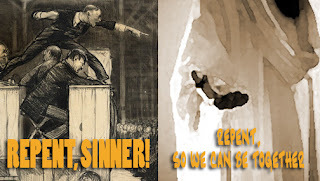 As a general pattern, the Abimelechs in scripture are not good guys. Some scholars believe that the name isn't so much a name, as it is a title such as Caesar or Pharoah - which are both rulers of this world but not in a good way. I'm guessing that smooth talk to Abraham was flattery, and an attempt to save his own hide from Abraham, who obviously was on great terms with God. The gematria value for Abimelech is 133. In another study I did in November, I discovered one of many hidden messages inside Psalms. When one combines every 13th Hebrew letter in Psalm 133 into one phrase, it translates to "Do Not Be Afraid." That's a great message to keep in mind regarding Abimelech. Phicol means "Voice of All," which is another reference to nations or mankind. Note that there's no reference to God in this name, at all. The letters that make up this name are Pey, Yood, Kaf, and Lamed. The symbols are Speak, Mighty Deed, Cover/Uncover, and Voice of Authority. In Genesis 17:5, Abram is called out to be the father of many nations (אב המון גוים, 'ab hamon goyim) and changes his name to Abraham. That connection still sticks today in the church, but the name really means "Their Strength" or "Their Protection" and reflecting security from many nations joined together. According to Abarim Publications, the first and last letters of the name אברהם (Abraham) are often used as formatives that do not change the meaning of the core word (bara) signifying a covenant. Similarly, God says Sarai would "become nations" or rather: "become international" (היתה לגוים, heyata le'goyim) and changed her name to Sarah (17:16). Those are the characters involved: Abimelech is a smooth-talking bad guy. Phicol is his henchman. Abraham is the God's man, and not just for Israel. Let's move through the passage. This is where Abraham calls out the seizure of a well of water, cutting off a source of something so essential as the water (of life). This sounds like a lie to me, giving another brush stroke on the portrait of Abimelech. Notice the manipulation of trying to place blame back on Abraham for not reporting it earlier, and the lack of repentance. Two more brush strokes. 27So Abraham took sheep and oxen and gave them to Abimelech, and the two men made a covenant. Sheep are people, oxen are leaders. Abraham (God's man) hands them over to Abimelech (Satan's guy) in a covenant after the source of life (water from the well) is cut off. At the time of the Jordan crossing by Joshua et al, the waters progressing toward the Dead Sea were also cut off – all the way back to Adam. Huh. 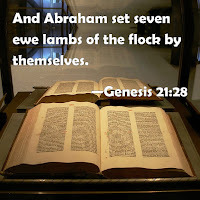 28Abraham set seven ewe lambs of the flock apart. The word for “set” is נָצַב and is generally used to mean establish, stand upright, or set apart. That’s beautiful in this context. Digging a little deeper, the Gematria for this short verse is 2088. Another phrase has the same Gematria: Sheaf of the Wave Offering (Lev 23:15). Given the subtle clues in verse 28, there’s a pretty clear picture developing of the meaning of the seven ewe lambs, I think. The seven faithful lambs are sure starting to sound like the seven churches. What do you think? Wow. That seems like a clincher to me about the identity of the seven ewe lambs. 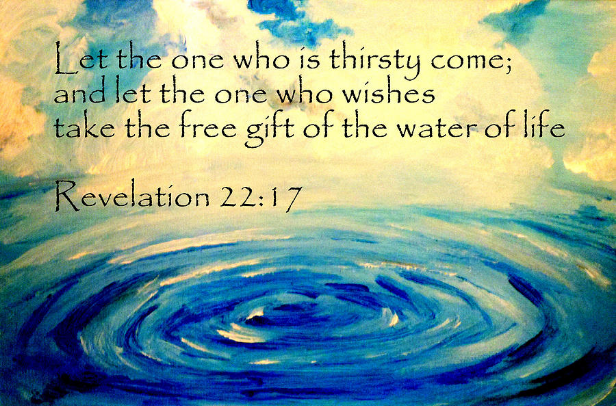 And surely are serving as a witness that God is the source of life – the living water from the well. 31Therefore that place was called Beersheba, because there both of them swore an oath. Beersheba means “seven wells” but the two men are only discussing a single well in this passage, and the name of the place doesn’t reference the important oath. Saying that the place was called Beersheba at that time because an oath was sworn there seems out of place, given that back in Gen 21:14 the place was already called Beersheba, in reference to Hagar and Ishmael being cast out of the household that Isaac was in. What do you suppose the oath was? At face value, it sounds like Abraham and Abimelech have agreed to live peacefully with each other. But considering the prophetic significance in this very short selection of verses, there might be more to the story. To me, this sounds a lot like the deal Satan was made for the temporary ownership of the earth, which I believe is up around the 120th Jubilee. The last couple of words in this verse is translated in the KJV as “because there they sware, both of them” is שָׁבַע שְׁנַיִם , pronounced shaba’ shenayim. If you’ve ever heard the Lord’s prayer in Hebrew, you’ll see that sounds a lot like shebashamayim which means “in Heaven.” But even more interesting are the characters used for "shenayim." They are Sheen (God), Noon (victory over death), Yood (ordinal perfection), and Mem (probation, followed by renewal). 32So they made a covenant at Beersheba. Then Abimelech and Phicol the commander of his army rose up and returned to the land of the Philistines. 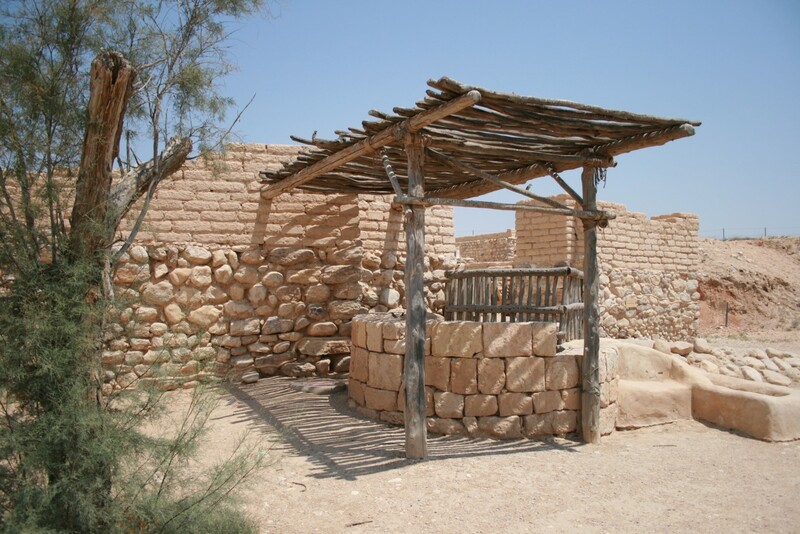 33Abraham planted a tamarisk tree in Beersheba and called there on the name of the Lord, the Everlasting God. 34And Abraham sojourned many days in the land of the Philistines. 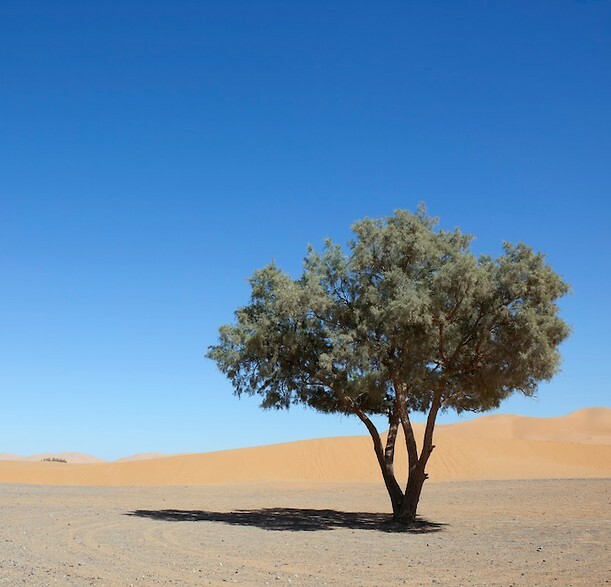 The meaning of the tamarisk tree eludes me, but it does seem like there’s some significance to it in scripture. The tree is also known as a salt cedar because it excretes salt. It's well adapted to surviving in arid regions, cooling itself by collecting water on the salt crystals, which evaporate in the hottest part of the day. The next mention of a this type tree is when Saul is in Gibeah, standing under a Tamarisk, and hears that David has fled to another Abimelech (Ahimelech, a priest of the Lord) in 1 Samuel. 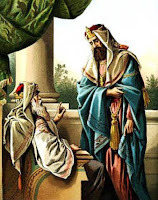 The priest gives provisions to David as a kindness but doesn't harbor him. 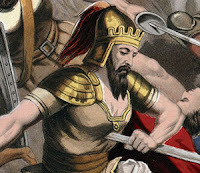 An angry Saul then kills Ahimelech and his household, believing them to be on David’s side. The final mention is later in 1 Samuel. David is established in Judah, and the Philistines put the corpses of Saul and his sons on display for sport. The bodies are then retrieved and given a proper burial under a Tamarisk tree in Jabesh. Maybe there are two sets of Tamarisk book ends here. The opening of the covenant with the seven wells, then the beginning and end of persecution for David. The only piece that isn’t mentioned is the latter book end, closing out the oath made by Abraham and Abimelech. It’s definitely something to consider. 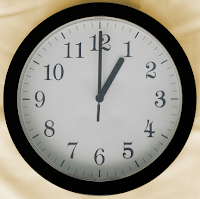 I’m going to close this blog post here, but I’ll add to the story starting in Genesis 22, next. Stay tuned and keep looking up!